Day after day my life was consumed by killings, distress and gruesome sites, each one adding another piece to an ever-growing mosaic that seemed to be made up of bloodied disposable gloves, plastic bags and human waste. 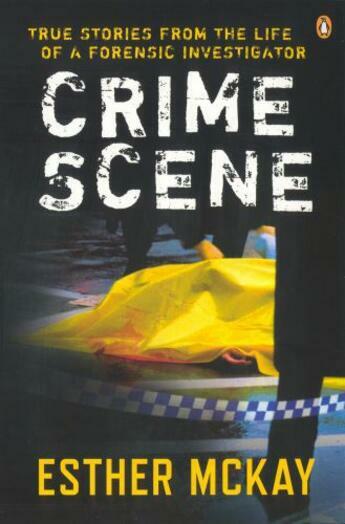 . ." When Esther McKay, an idealistic young constable with the NSW police, entered the tough, male-dominated world of forensic investigation, she was determined to hold her own. She soon found herself at deeply confronting crime scenes, often working alone and without supervision. After years of long, lonely, exhausting days and nights, and following a particularly harrowing high-profile case involving the disappearance of two young boys, Esther had a break-down and was diagnosed with post-traumatic stress disorder. This is Esther's story. Powerful, moving and unforgettable, Crime Scene takes us inside the life of a forensic investigator, and reveals as never before the extraordinary demands and dangers of forensic work.